Known as the islands at the edge of the world. Approximately 55 miles west of Harris. 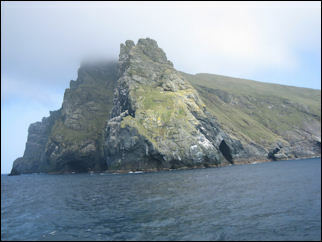 and the islands of Hirta, Dun, Soay & Boreray. Inhabited for centuries, then evacuated in 1930.
for both its natural and cultural significance. 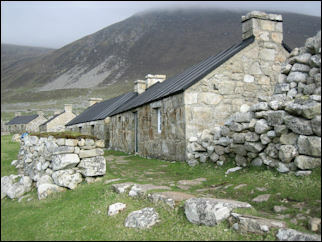 Now owned by the National Trust for Scotland. 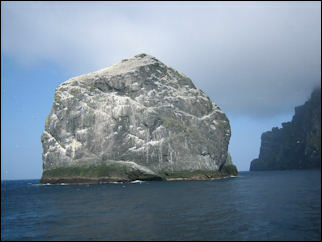 Famous for its remoteness and sea bird colonies. (there never was a Saint Kilda or St. Kilda). If you wish to join the St Kilda Club - click here for details. 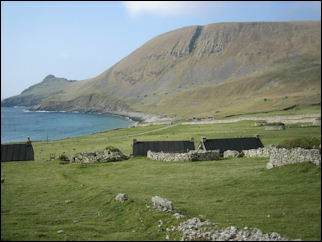 Since 2018, camping has been allowed on St Kilda for the first time. 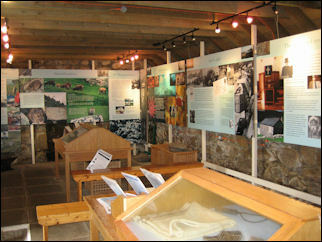 This is strictly managed by the National Trust for Scotland and it's essential to book in advance. The campsite takes 6 people. The maximum length of booking is 5 nights. The cost is payable to the warden on arrival. Contact 01463 732645. Shared use of showers and toilets. Access to drinking water. 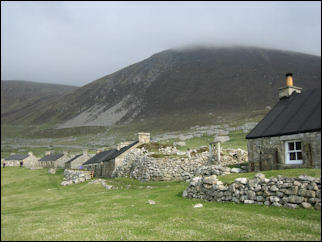 There is no mobile phone reception, WiFi or other Internet access on St Kilda. 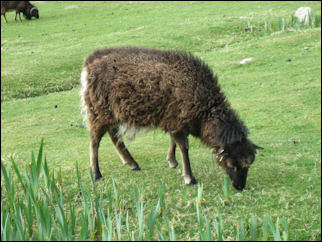 Kilda Cruises - day trips from the isle of Harris. Angus Campbell will take you from Leverburgh for the day (weather permitting). Advance booking essential. Sea Harris - daily trips from the Isle of Harris to St Kilda. Seumas Morrison will take you across for the day (weather permitting). Advance booking essential. 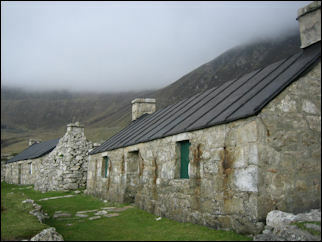 Go To St Kilda - day trips to St Kilda from the Isle of Skye. Overnight camping also available. Hebridean Princess - luxury cruise ship, sailing from Oban - usually has two 1-week cruises in June each year which include a visit to St Kilda. 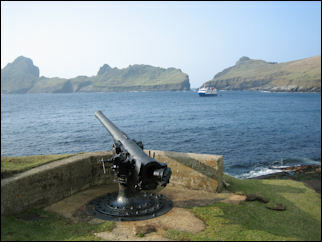 Hebrides Cruises with the 'Elizabeth G' sail from Oban to St Kilda. Accommodation on board for 12 guests. Private charters available. Moonshadow Yacht Charter Ltd (based at Dunstaffnage Marina, near Oban) offers 4-12 day skippered sailing holidays around the west coast of Scotland including the Hebrides and St Kilda aboard an Oyster 68. 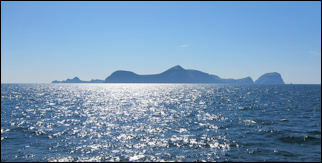 New Horizon Sailing - holidays from Tobermory visiting the St Kilda & Hebrides. Northern Light sails from Oban. Variety of vessels. 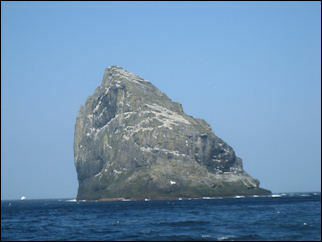 Sails and Summits offer skippered sailing holidays from Oban including trips to St Kilda & Hebrides. This radical new interpretation of the islanders' lives has been written by Andrew Fleming (Professor of Archaeology at the University of Wales) and discusses the realities of island life before evacuation. Paperback published May 2005. 208 pages. John Love creates a fascinating and insightful account of the islands' human history and shows just how important wildlife was to the survival of the islanders. Much of this information has lain for years in little known private diaries, files, reports or obscure scientific journals. Paperback published June 2009. 320 pages. 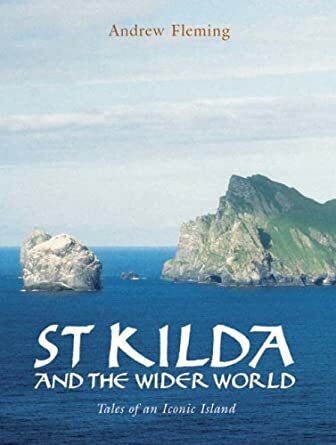 This 297 page paperback by Tom Steel is one of the most popular books about St Kilda and is a highly recommended read. 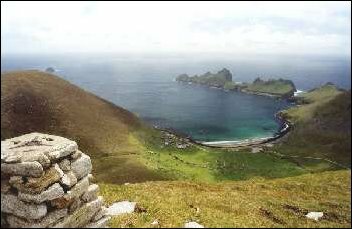 A part of Britain but a world apart, St Kilda society existed almost completely isolated from the mainstream of civilization for more than 1000 years. 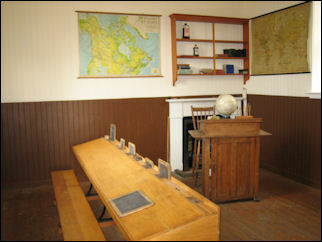 Increased contact with the mainland during the 19th century brought about the downfall of what many once regarded as an ideal society. 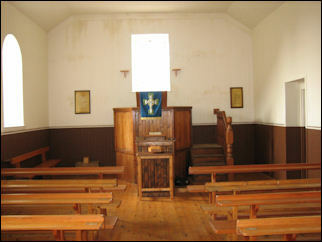 Missionaries and tourists brought money, disease and despotism. 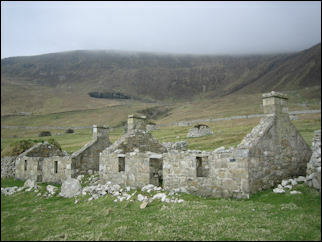 In 1930 the islanders, who could no longer support themselves, were finally evacuated at their own request. The island's story was chiefly recorded by outsiders. 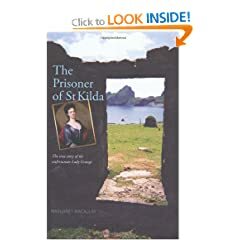 This book examines the island and the St Kildan society as a microcosm of a process which is consistently taking place, often on a much larger scale, all over the world. 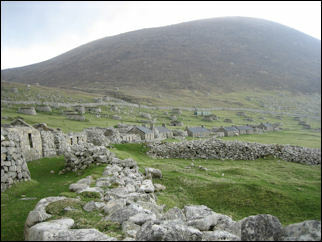 St Kilda remains a symbol of the ability of man to survive in the most hostile of environments and it remains a fascination unique among islands. 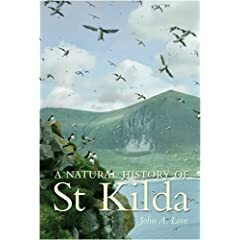 This new edition of Charles Maclean's study of the island contains an introduction highlighting recent findings about St Kilda. The dramatic true story of 18th century marital and political strife � from Lady Grange�s origins as the daughter of a murderer, to Edinburgh socialite, to being abducted by her husband's powerful friends and stranded on St Kilda for 7 years. Condemned to a very different lifestyle than she had enjoyed in Edinburgh, and baffled by the strange tongue of the Gaelic West, she still obstinately survived, finally dying in Skye in 1745. 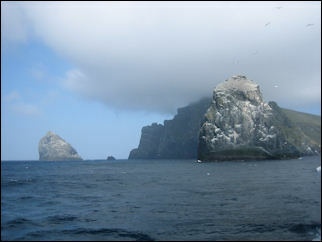 Voyage to St Kilda by photographer Monica Weller. This 72-page paperback book contains 70 b/w photos chronicling the author's long-awaited journey by boat from Harris to the wildest of the Western Isles, St Kilda, in August 1997. I personally found Monica's words to be a close echo my own feelings for the Hebrides. She portrays their magnetism very well. If you have already experienced the isles, you will understand completely, if you have never yet been, you will want to go! Monica Weller A.R.P.S., 1 Durleston Park Drive, Bookham, Surrey KT23 4AJ, England.